What is a Coagulation Panel? Coagulation factors are proteins circulating in the blood that are essential for proper blood clot formation. This measure the function of or sometimes the amount of these proteins in the blood. 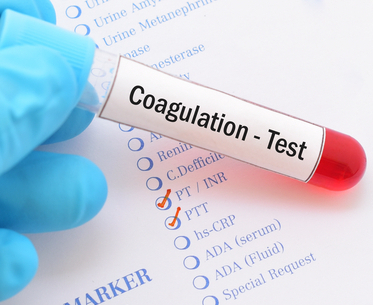 Coagulation factors are usually tested by measuring the factor’s activity level in the blood. Activity assays can detect reduced levels of protein or proteins that don’t function properly. Coagulation factor antigen tests can tell how much of the protein is present, but not whether its function is normal. Who should get a Coagulation Panel?